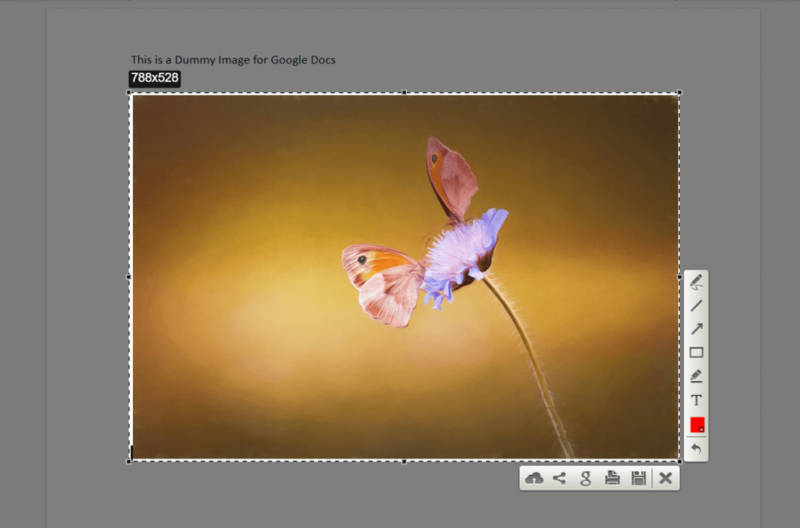 Ever wondered how you can save images from google docs? If you ever attempted to save an image from google docs, you know it can be frustrating and isn’t an easy task to save pictures. As a blogger, we always get articles and documents in the Google Docs link, but we failed to download the attached images from it because you can’t right-click on an image in Google Docs. In this case, we always look for some tricks and methods through which we can save the images from Google Docs. Here in this post, we’re going to cover seven simple – step on saving an image from google docs. Google has removed the ability to right click on the image to save it, and this could be a big issue for bloggers and marketers to download an image from Google Docs. In this case, we keep trying to find ways to download images, but in the end, we end up wasting our valuable time. There are a lot of ways to download an image from Google Docs, and we had listed various ways through which you can download an image. You can check several ways we listed below to download an image from Google Docs. 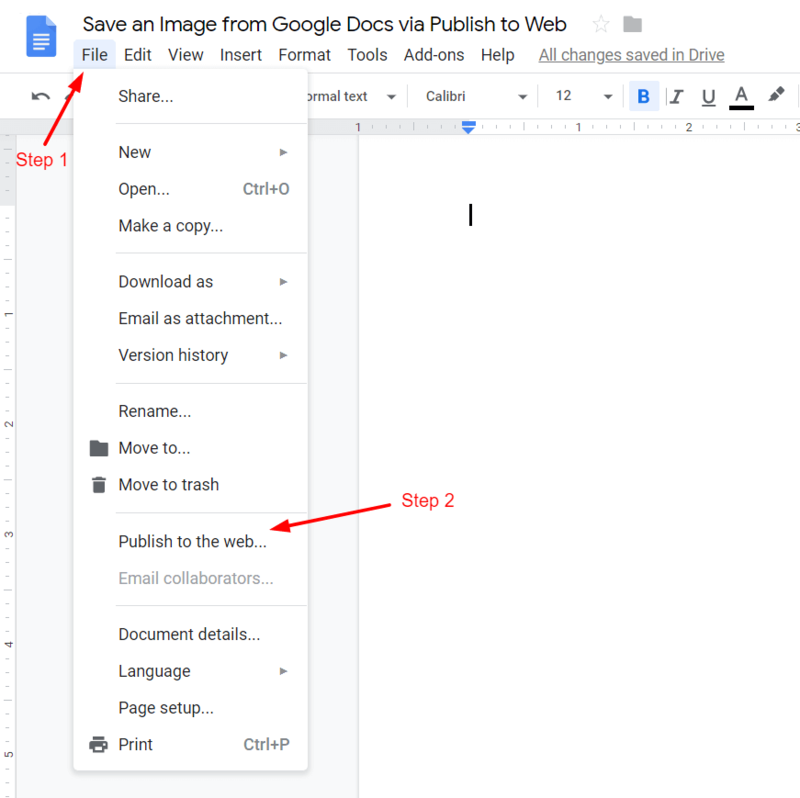 The easiest method to save an image from google docs is via publishing the post to the web. You can use this method to download the original quality images. This method works best if you have a smaller number of images in your docs. The very first step you need to follow in case of publishing your images is to open your docs and click on “File > Publish to the Web“. On next screen, you got an option to publish your docs as a webpage. Click on the “Publish” button to get a public URL. Copy the URL and paste it in the address/URL box. After you paste your link to the address box, you’ll see a webpage published version of your document. Hover to the image and right-click and click on “Save as image.” Before saving your image, provide an appropriate name to your image for SEO purpose. 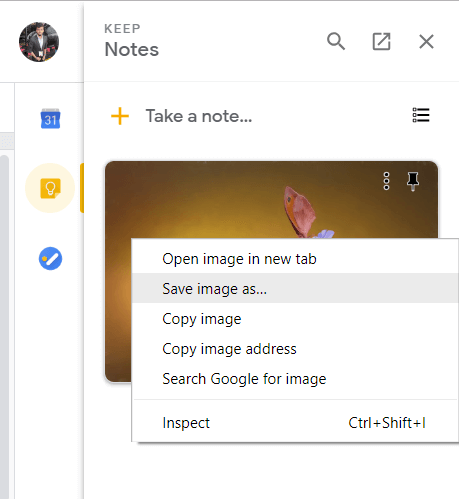 The second most comfortable method to save an image from google docs is via using google keep. Google keep is a free note-taking app for personal use. You can download their chrome extension, Android and IOS app. To download images using this method, you should have to use the Google Chrome browser. First, open your document and select the desired image you want to save. After selecting your image, right-click on the image and click on “Save to Keep Notepad“. On the right sidebar, it will open a Keep Notepad. Right-click on the image (sidebar image) > Click on “Save as Image” > Enter appropriate image name > Save. Bingo! Now you successfully saved your image from Google Docs. 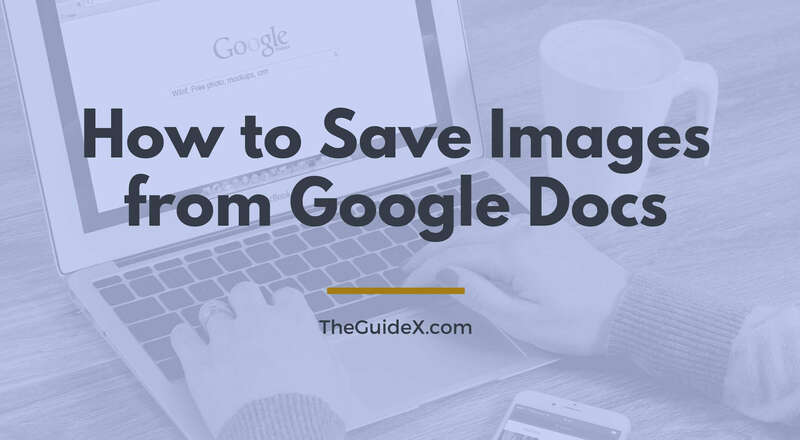 This is another most versatile and comfortable method you can use to save an image from Google Docs. For this purpose, I prefer to use “Lightshot” chrome extension. You can also download their Windows, Mac and Ubuntu app from their website here. Using Lightshot to take a screenshot of images is the easiest and fastest way. If I’m running short of time, I always prefer this method to save an image file from Google Docs. First of all, open the docs file which contains the image and selects it. Once you selected on the image, click on the Lightshot icon and it will open another tab with a lightshot select option. Now crop the image and click on save it, you can also upload your image to their prntscr.com website directly from lightshot in a single click. Download your image and name the image according to the SEO friendly title. You can also use the “prt sc” button in your keyword to take a full-screen screenshot. Once you take a screenshot using this button, paste your image on “Paint” and crop image from it. 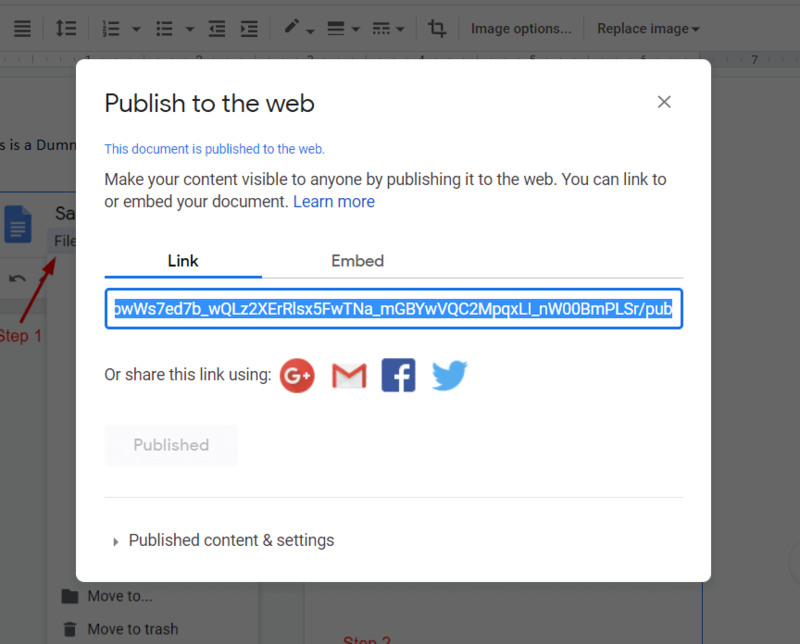 Another method you can use to save an image from google docs is using “download as web page” feature. In this step, we will download the google document in webpages in our system. Once we downloaded the .zip file in our system, we can unzip it to get all the images available at the docs file. Here I’m briefly showing the steps to download images as a web page. The very first step we need to follow in order to download docs as a web page is to open our docs file in google docs. Once we open the docs file, go to “File > Download as > Web PageHTMLml, zipped)” and click on web page option to start downloading your file. Your file will be downloaded as a zipped file, so you need to use any zip extractor to extract files from the zipped document. Once you downloaded the zipped file, open your download folder, right-click on the file and select “Extract All” from the given options and extract the files. Once your files have been extracted, open the folder and click on ‘Images‘ folder to get all images. If you’re a blogger and want to publish your google docs file directly into WordPress, then you can use a WordPress plugin to ease your work. There are some wordpress plugins which are available for free and allow you to publish your docx file directly into your WordPress website. For this purpose, here we’re using the “Mammoth .docx converter” plugin which is available for free at WordPress. Step 1: Download Your Google Docs File. First of all, you should have to download your google docs file in .DOCX format. Once you downloaded your file, you have to upload the file in the WordPress post. To do so, open your google docs file and go to “files > download as > save as .DOCX” to download your file in docx format. Step 2: Upload to WordPress Post and Import. Once you downloaded your file, install the “Mammoth .docx converter” plugin in your WordPress and create a new post. On the WordPress Post Page, you find an option of the “Mammoth .docx converter.” Upload your docx file and click on import. Bingo! 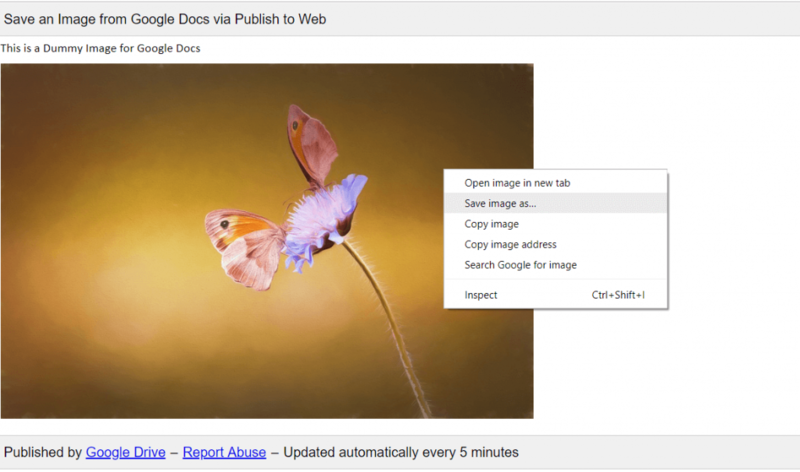 You successfully imported your Google Docs file with images directly to your WordPress Post. This one is one of the harshest methods to save an image from Google Docs. I wouldn’t recommend using this option, but this is an alternate method through which you can download an image from google docs. In this method, you’ve to first download docs file in your system and open it using Microsoft Word and right-click on the image to save it. Step 1: Download Your Google Docs File in DOCX Format. The first step you need to follow is downloading your google docs file. Download your file in .DOCX format from “files > Download as > Microsoft Word (.docx).” Once you downloaded the document, open it using MS-Word. Once you opened your file in MS-Word, right click on the image and clicked on “Save Image as.” It will open another popup to save your image. Select the location to save your image and click on save. You can use this method to download several images from your Google Docs file. In this step, we’re going to use Add-ons for Google Docs. 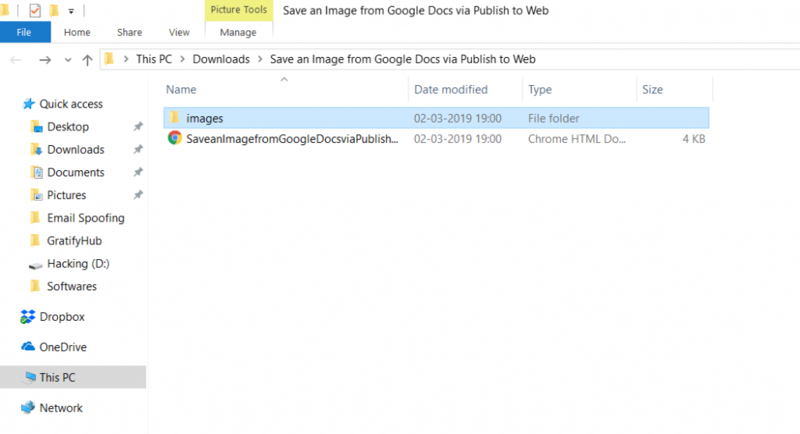 The action is very simple to follow, and you can use this step to download several images from the Google Docs file with ease. First of all, you have to get an add-on named “Image Extractor” to start using this step. to install this extension, open your docs file and click on add-ons > Get add-ons > search image extractor > install. This method will help you to install the image extractor extension in your Google Docs which allows you to save an image from Google Docs. Once you installed the image extractor add-ons, it will ask you for permissions, allow those permissions to use the add-ons. Now go to add-ons > image extractor > start. After starting the image extractor click on the image, you wish to download and click on the “Download” option. Similar to MS-Word, Google Docs allow you to create a document (.DOCX) file online. To use Google Docs, you just need to have active internet access, and you’re ready to use Google Docs on any device. How to Share Google Docs with Others? To enable sharing options in Google Docs, you have to enable it by going to File > Share > Get Sharable Link. You can also enter the email of the recipient to enable sharing to only limited person. Is Google Docs Available for Android and IOS? Yes, You can download the Google Docs app from Play Store and IOS Marketplace. Download and Login with the same account to enable syncing of the documents. How Can I Save Document in Google Docs? 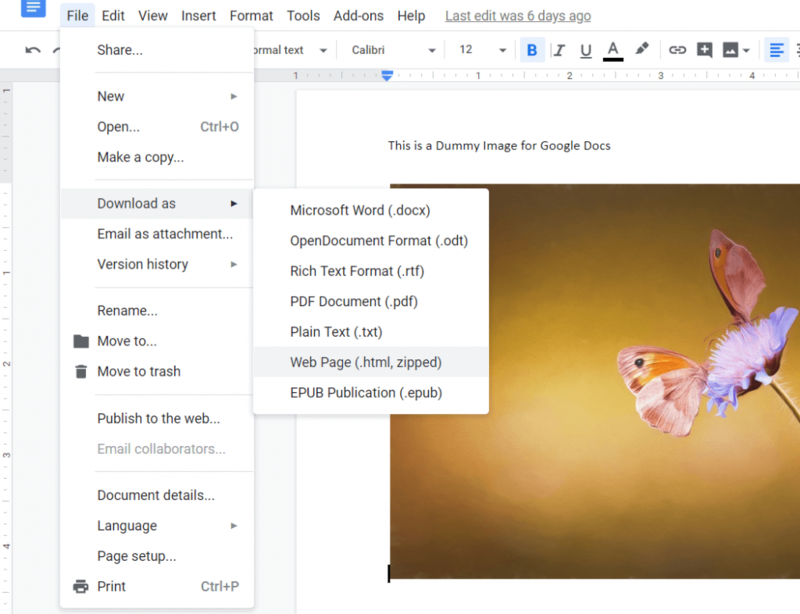 When you use Google Docs to create documents, it will automatically save the file whenever you make any changes to your document. You don’t have to remember ctrl+S to save your documents anymore. 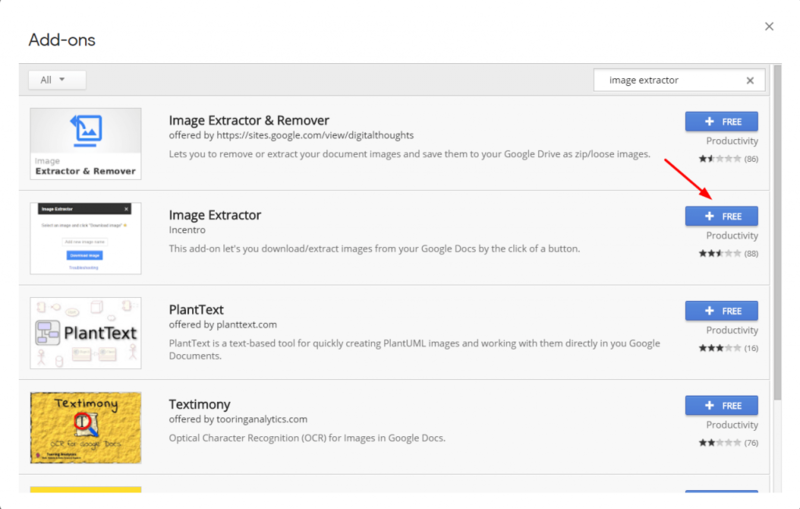 We had listed several methods to download an image from Google Docs. You can try these methods to download pictures. These methods are safe and secure to use. And also, there are various other methods to download an image from Google Docs for Free. If you’ve any other way to save an image from docs, please let us know in the comment section below. These methods are well-tested, and I use some of these methods to save an image from google docs. If you have any other queries, you can also let me know in the comment section below. 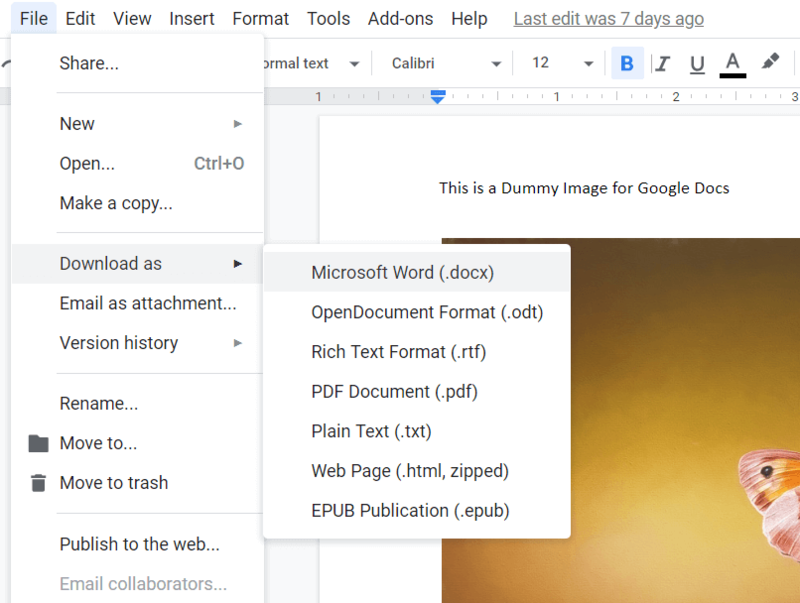 If you ever tried to save an image from google docs, you know it can be frustrating—you can't just right-click and save it. Check out these alternative workarounds on how to save images from Google Docs. 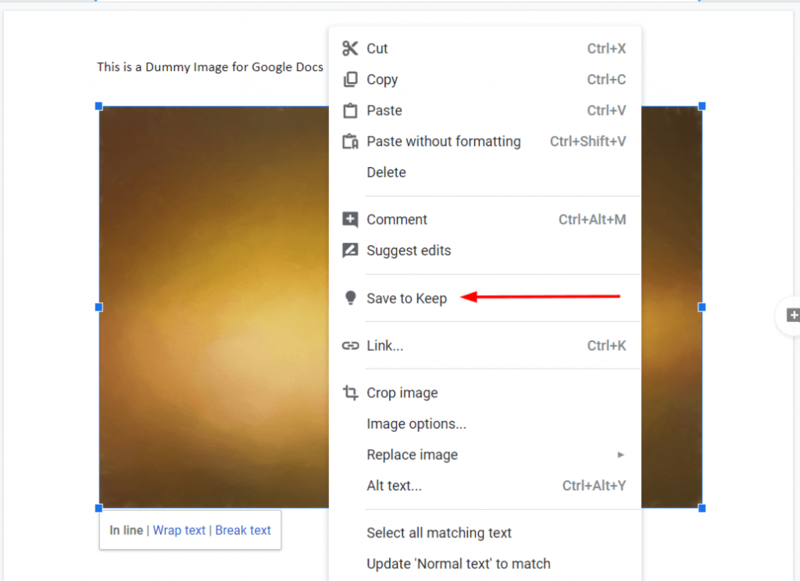 Thank you very much for sharing the How to Save an Images from Google Docs post. Nice post and helpful also.